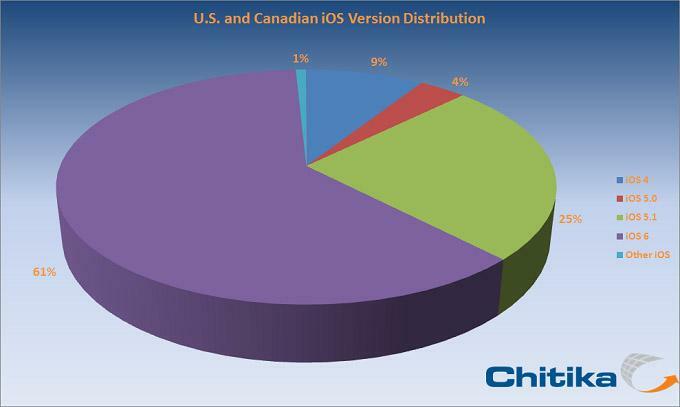 After one month of availability, Apple's iOS 6 has been installed on 60 percent of iDevices in the U.S. and Canada, and will possibly see further growth with the expected debut of a 7.85-inch "iPad mini" on Tuesday. 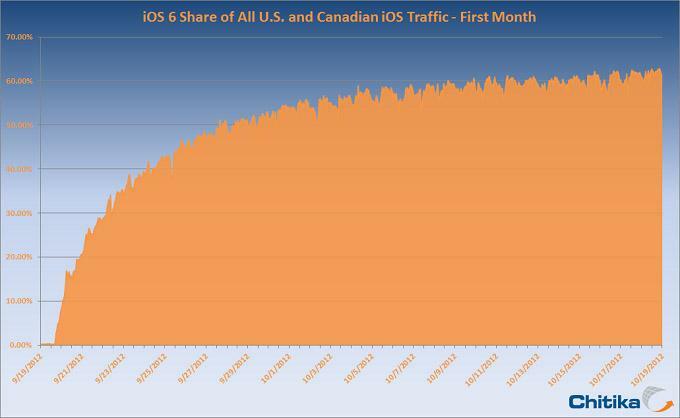 iOS 6 showed substantial adoption rates when the mobile operating system was first released on Sept. 19, and at one point represented over 16 percent of all iOS device web traffic after being available for only one day. Since Oct. 2, iOS 6 gained another 10 percent share, though adoption rates have fallen since the operating system debuted. The ad network notes that while growth has leveled off over the past week, the number of iOS 6 users continues to increase thanks to upgrades and new device purchases. Chitika expects usage to touch 70 percent within the coming weeks, spurred on by sales of Apple's much-rumored iPad mini. Apple is widely expected to debut the small form factor iPad at a special event on Tuesday, which is thought to focus on educational uses for the rumored 7.85-inch tablet.